Developed by Caged Element, GRIP brings combat racing into the modern era. It features twenty-two tracks, fifteen combat vehicles, nine power-ups, split-screen for up to four players, and ten-player online matches. Take aim at your opponents, as well as the destructible environment, when this fast, car-colliding action arrives on PlayStation 4 on November 6, 2018. If you preorder through GameStop in the US you’ll get the following bonuses: exclusive Nyvoss Hex Paint Kit, the Vortex Rim Pack, and five exclusive vehicle decals. Additionally, GRIP is enhanced for both the PlayStation 4 Pro. Players with the upgraded console can enjoy the highest graphical fidelity. On the PlayStation Blog, Principal Programmer Rob Baker took the time to discuss the development challenges the team faced and how they overcame them. The three areas Baker focused on highlighting were dramatic downforce, balancing competitive gameplay, and working as a satellite studio. There were a lot of promising comments made, but one that stood out was the “catch-up assist” system in GRIP. Rather than simply hold back the AI, this feature “subtly changes the forces on the vehicles based on position, helping to keep the racing pack tight for maximum carnage.” Personally, when I first pick up a racing game, it can take a while to get good enough to keep things competitive. And where’s the fun in not fighting anyone? Of course, not every gamer will want to take advantage of the feature. Baker noted, “If you’re a fan of the purely balanced experience [catch-up assist] can be switched off (and even used to filter for online games).” Additionally, the team’s emphasis on getting the physics just right makes me optimistic for this gravity defying, combat racer. 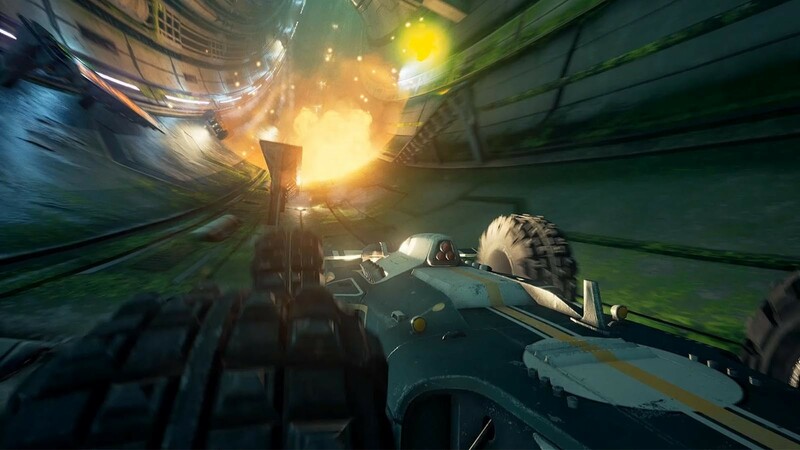 For a better idea of how it feels to get behind the wheel and hold on for dear life, check out our hands on preview of GRIP from our time at GDC 2018. GRIP will come to the PlayStation 4, Xbox One, Nintendo Switch, and PC on November 6, 2018.